NLRB General Counsel Releases Electronic Signature Guidance - CUE, Inc.
A new NLRB memorandum that came out on October 26 contains several examples of the steps and communication a union must follow in order to file an electronic signature as part of an election petition. Each of the four examples is shown below. I am Margaret Alpha, Business Agent for Widget Workers Local 1, the petitioner in Jones Corp., 35-RC- 0987654. Each individual employee interested in joining the Union organizing drive went to the website we set up. They filled out their names, email addresses, phone numbers and employer name on an online form containing language providing that they wished to be represented for collective-bargaining purposes by the Union and clicked on “I agree”. The electronic signatures we’re providing identify the signing employee, because that is the information that they typed onto the form. Upon receipt of the email, a Union agent sent a Confirmation Transmission to the employees’ email accounts stating and confirming all the information that the employees sent and that the Union received in the employees’ emails. We are also including any responses to the Confirmation Transmission that we received from signatory employees prior to the filing of this showing of interest. I am Jonathan Beta, Business Agent for Widget Workers Local 1, the petitioner in Jones Corp., 35-RC- 0987654. Agents of the Union directed each individual employee who wanted the Union to represent him or her for the purposes of collective bargaining to send an email to organizing@widgetworkers1.org. They included their name, email address, phone number and employer name in the email, with language indicating that they wished to be represented for collective-bargaining purposes by the Union. 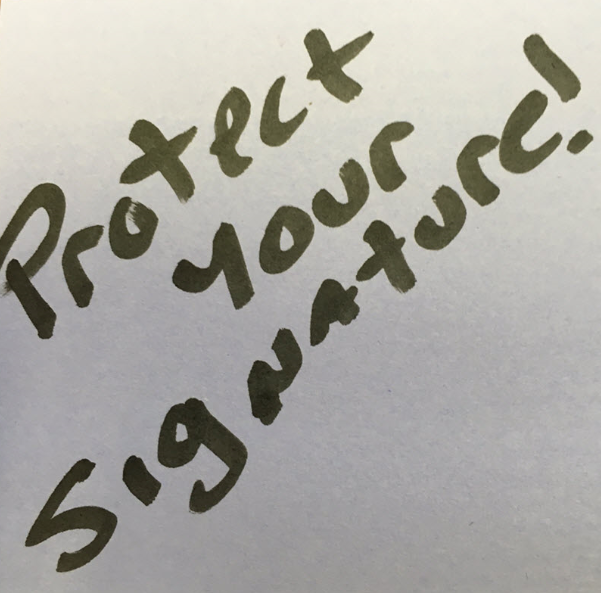 The electronic signatures we’re providing identify the signing employees, because the employees sent the emails from email addresses that are known to be used by the employees. This email is to confirm that Local 123 of the Widget Makers Union received an electronic submission of authorization from you to represent you and other employees of XYZ Manufacturing for purposes of collective-bargaining. If you did not submit this authorization, please immediately reply to this email and let us know that you did not submit the authorization. If you submitted the information and it is correct, you do not need to do anything. We will provide you with further information about our efforts to represent you. If you submitted the information but you see there is an error in some of the information provided, please reply and provide the corrected information. This email is to confirm that I received an electronic submission from you stating that you do not wish to be represented by Local 123 of the Widget Makers Union for purposes of collective-bargaining. If you did not submit this authorization, please immediately reply to this email and let me know that you did not submit the authorization. If you submitted the information and it is correct, you do not need to do anything. I will provide you with further information about our efforts to no longer be represented by Widget Makers Local 123. If you submitted the information but see there is an error in some of the information provided, please reply and provide the corrected information.